Home » Reviews » Cigna Medicare Supplement Plans: What Policy Is Best? 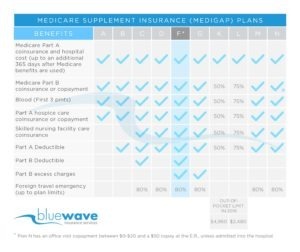 Cigna Medicare Supplement Plans: What Policy Is Best? We are proud to offer Cigna as one of our carriers. If you are looking for free quotes contact us at (800) 208-4974. Discover why you should work with us here. They are a publicly traded company (NYSE: CI) and has over 15 million customers worldwide. It’s safe to say they are one of the largest health insurance companies in existence today. If you purchase a Medicare supplement plan from Cigna your policy be insured by either ARLIC, Loyal American or Cigna Health and Life, all subsidiaries of Cigna. 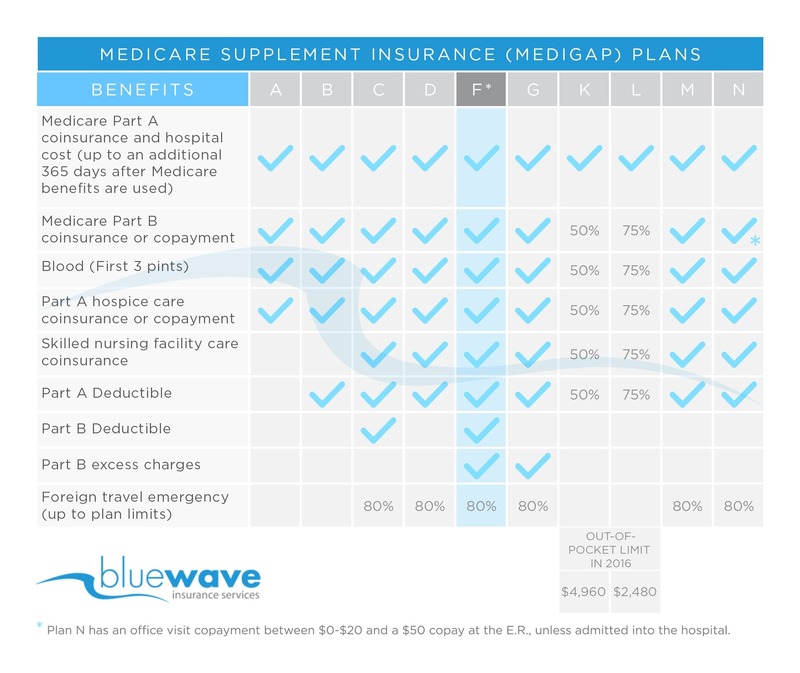 I am going to cover the three most popular Medicare supplement plans in the marketplace today; plans F, G and N. These Medigap plans are standardized, meaning they are exactly the same no matter what company is offering them. For example, the only difference between a plan F with Cigna and a plan F with Aetna is the price. It is important to compare rates before you purchase a plan. Give us a call at (800) 208-4974 or use the online quote request view instant quotes from all the top companies. 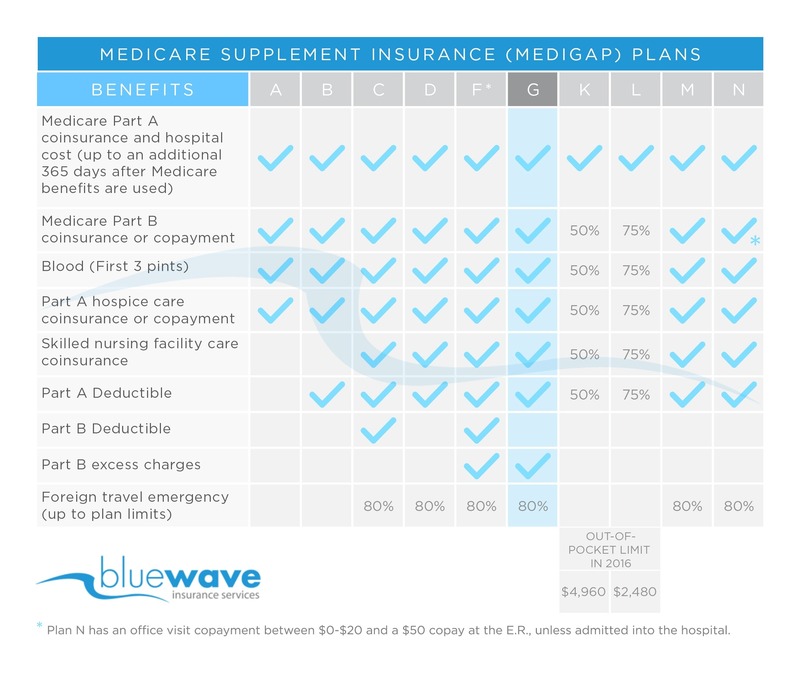 Plan F is the most popular Medicare supplement plan but it is not the best plan. I will explain why here shortly. 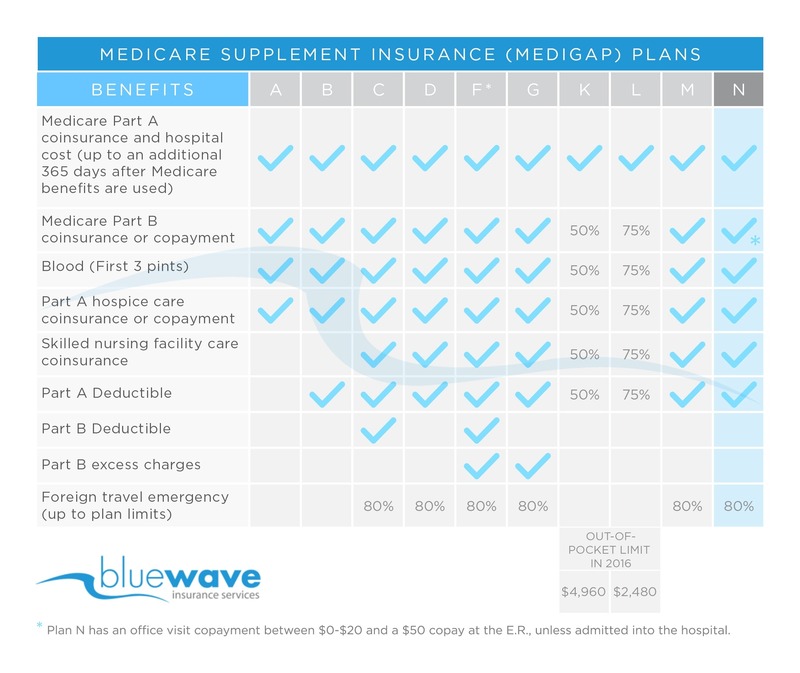 Plan F is simple, it covers everything that Medicare does not pay in full. As you can see the chart below F covers 100% of what Medicare does not pay in full. However, the F plan tends to have the most rate increases when compared to G and N plans. There are many more people on plan F and they use the plan more often, creating more claims for the carriers to pay. This results in more rate increases. On average, plan F increases at about 7%-10% per year. Rates for plan F with Cigna will vary by location and several other factors. Contact us at (800) 208-4974 for a free quote to compare rates. The Cigna Medigap Plan G is very popular across the country. Folks who buy a Cigna Plan G enjoy a lower premium in return for paying the Part B deductible once per year, at the doctor’s office. The deductible on Plan G is $185 for 2019. There are no office copays with a Medicare supplement Plan G with Cigna. 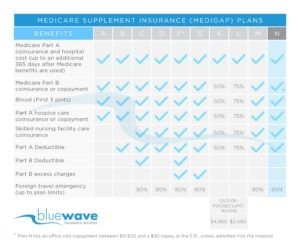 If you look at the chart above, you can see that Plan G is almost identical to plan F, the only difference is that the Part B deductible is not covered. The Part B deductible is currently $185 for the calendar year. Plan G is the best value because the amount of money you save on Plan G compared to Plan F is almost always more than the benefit difference. In addition, the rate increases on plan G are much less than plan F. Plan G is a much better long-term option over plan F.
As you can see there are some out-of-pocket expenses with plan N. The premium savings, however, can make the costs worth it. Check out our FAQ section for more detail on Plan N. Contact us for a free quote comparison to find out what a plan N will cost you. We know the price is important. Cigna is very competitive across the country. We also understand that you may want to view rates without speaking to an agent first. We have implemented a live quote comparison tool on our website. To view instant quotes from Cigna and all of its subsidiaries for Plans F, G and N simply fill out our online form and view instant rates here. Please note: we do our best to keep the rates updated and accurate but we cannot guarantee accuracy without speaking to you on the phone. We can ensure all applicable discounts are applied and confirm policy effective dates, which affect the premium cost. Call us at (800) 208-4974 for a free rate comparison. Cigna is a solid insurance company and is a great company to deal with. They have been in business for a long time and have a track record of success. The customer service is excellent and the claims are always paid on time. In addition, prices are competitive across the country for Medigap plans. To get free quotes on Cigna Medicare supplement plans or if you wish to enroll, simply call us direct at (800) 208-4974. We would be happy to help you in your decision. We are a unique insurance agency dedicated to assisting folks with Medicare. Overall Cigna is a great choice for your Medicare supplement insurance. Contact us at (800) 208-4974 for a free quote comparison! My wife and I have plan f with Cigna can I change to plan g.
Yes, you can. Most likely, you will have to answer some basic health underwriting questions to change over to Plan G. These are simple “yes” or “no” questions, along with providing your current medications. Also, it is important to note, you can actually change from an F to a G plan anytime throughout the year, there is no deadline. Call me at 800-208-4974 with any questions that you have! Also, if you have already purchased a Plan G, you should have received an “outline of coverage” from the agent that sold the plan to you. Plan G does not add benefits such as acupuncture. 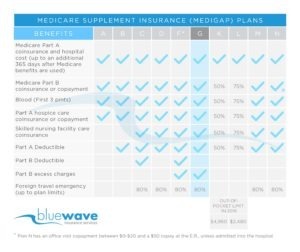 Plan G covers the “gaps” leftover that Medicare does not cover in full. Need quotes for Cigna F plan for my wife and myself. Currently we both have Cigna Medicare Prescription Drug Coverage and Cigna Dental PPO Advantage plans. By combining all plans to Cigna, we may get better monthly rate. Hi for quotes please call us at 800-208-4974. Regarding discounts, there are no discounts available for the supplement plans for having a drug plan or dental plan with the same company.